Bravado, Universal Music Groups industry-leading merchandise and brand management company, will officially launch the exclusive limited edition Tupac by VLONE collection April 7 at the Powamekka Café, a three-day Tupac inspired original restaurant concept at Sweet Chick in New York City. The 18-piece collection features Tupac inspired apparel designed by VLONE creative director ASAP Bari. It consists of 18 styles ranging from hats, tees to bathrobes ($100-380). 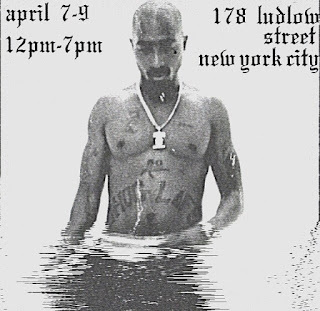 Tupac by VLONE at The Powamekka Café will be located at 178 Ludlow St, New York 10002 from April 7 - 9.